This facial mask is loaded with face loving ingredients such as aloe vera, sea clay, activated charcoal and tea tree essential oil. 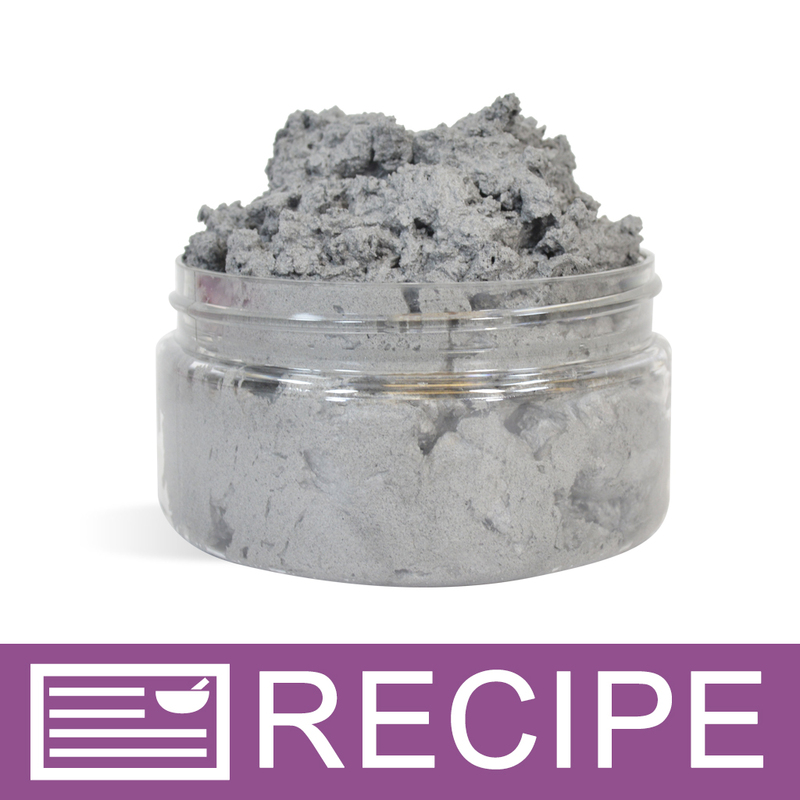 Activated charcoal is known to purify the skin for creates a glowing look. You Save $22.70 by purchasing this kit rather than buying the items separately. Glycerin, Water, Aloe Barbadensis Leaf Juice, Sodium Cocoyl Isethionate, Sorbitol, Propylene Glycol, Disodium Lauryl Sulfosuccinate, Stearic Acid, Carbomer, Sodium Chloride, Bentonite Clay, Sea Clay, Activated Charcoal, Diazolidinyl Urea (and) Iodopropynyl Butylcarbamate, Triethanolamine, Disodium EDTA. COMMENTS: This mask is amazing!! Do be careful with the Charcoal. I use this mask and every time I do, it feels like my face can breath (LOL). It feels so fresh and clean!! My daughter is a Lush girl and she tried this and she said, "Mother, my skin is so clean, not a blackhead in sight......first time." Yep, this is a crowd pleaser!! I will purchase again. COMMENTS: This is a product that I really liked. I sell this product but I also use it myself. It definitely helps with summertime acne. It leaves my skin feeling super soft, too! COMMENTS: I got this kid for my mom and it was perfect for her. She is new to making skin care products and the kit help give her a good understanding of the process. It also helped generate all kinds of ideas for future mask. COMMENTS: I love all of their face mask products. Being a first time user of the soap whip, I overwhipped mine and mine turned to mush in two days. This was due to me not knowing how to whip this soap whip. Only suggestion I have is to be sure to not over whip your product. It will turn out very fluffy the first day and mush the next day. However, I am going to try this product again. I have never been disappointed in one of the face masks yet. "Does this mask need a preservative? " Staff Answer The foaming bath whip which is the base used for this recipe does contain a preservative and no additional one needs to be added. "I followed the recipe exactly. Product came out perfectly whipped. Packaged them and sold some at a show the next day. The ones left over now have turned hard and are not mushy. What would have caused this? And are they still good to use? Thanks!" Staff Answer We are not sure why your product has hardened. It is possible too much clay was added which would make it hard. 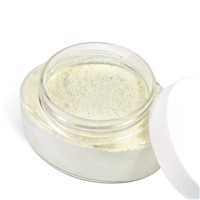 If the product is able to be mixed in the jar, it can still be used. If too hard, unfortunately, you may need to discard the product.
" Where are the instructions for making this product it only gives the ingredients in the kit but not the instructions "
Staff Answer Click on Additional Information for this kit. Under the "Add to Basket", you will see a link that says "View This Kit Recipe". This will be the same for any kit we sell on our website. "Is this a mask that you peel off or one you just wash with?" Staff Answer This is a mask you wash off after 5-10 minutes.
" What do you suggest as a facial moisturizer between applications"
Staff Answer Any face cream would be fine. 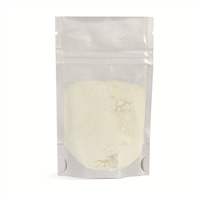 We have some recipes for face cream if you would like to take a look: http://www.wholesalesuppliesplus.com/education/recipes.aspx?FBK=Enter+Keywords+Here&FBM=-1&FBY=-1&FBI1=Enter+Ingredient+Here&FBI2=Enter+Ingredient+Here&FBI3=Enter+Ingredient+Here&AUS=11. "I used a whipping attachment on my mixer and followed the directions exactly, and like another person that reviewed, it turned to mush the next day. Looks like too much aloe. It was very thick before adding the aloe when the mixture became very airy. I couldn't get 2.5 oz in the jar, only 1.8 oz. is there a reason this happens? I feel as if this whole batch is ruined and I've wasted my money"
Staff Answer If you did add too much aloe vera gel, that may be why it is mushy. The product is still usable even if it is a softer consistency. This mask does not harden on the face like a dry face mask would. 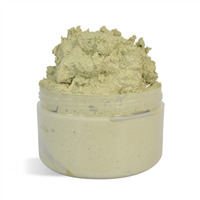 The aloe vera gel keeps it moist while your skin soaks in the benefits of the kaolin and sea clay along with the activated charcoal. "Is the measurement for aloe fluid ounces or by weight?" Staff Answer All ingredients should be weighed. "Would this product dispense in an airless pump bottle? " Staff Answer We do not recommend using an airless pump bottle. It works best packaged in a jar. "On the recommendations page, a customer said, "I overwhipped mine and mine turned to mush in two days." Mine did this also, but I followed the recipe pretty exact. Should it remain foamy???" Staff Answer This product should stay whipped after packaging. If you follow the directions and whip for 5-10 minutes, you should not have a problem. The only thing that will happen is that you will whip more air into the product and will need additional jars to package. If you continue to have problems, please contact our Customer Service Department. Thank you. "In an Eight oz jars how many applications would be normal. What are the directions for applying the mask? Ann Kinney"
Staff Answer It really depends on how much mask is used for each application. You should get at least 3-4 uses per jar. Directions for use are listed in the recipe: Avoiding the eyes, gently massage product onto face. 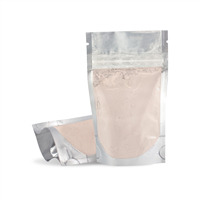 Allow a light coating of the face mask to remain on the skin for 5-10 minutes. When the mask is dry, gently remove with water and use a towel to pat the skin dry.